Try drying flowers at home – lavender is easy! elastic band somewhere warm and dry such as an airing cupboard, garage or shed. Use small bunches (half a handful or less), because if the air flow is not constant around the stems, moulds may form and cause discolouration. An elastic band will shrink with the stems as they dry, and so continue to hold them firmly. They should be dry within 2 weeks and ready to use. 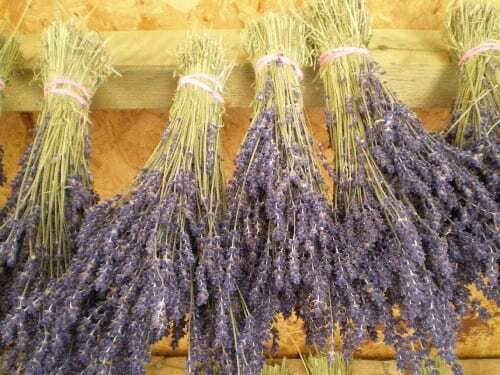 If you want to make lavender bags, just rub the flowers off the stems before use – you may have to pick over the dried lavender to remove pieces of stem and leaf before use.